I recently designed the branding for an old friend of mine. 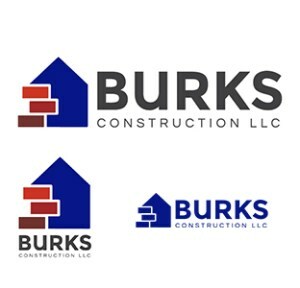 His business, Burks Construction LLC, is a construction company that specializes in full turn-key renovations for residential and light commercial properties. 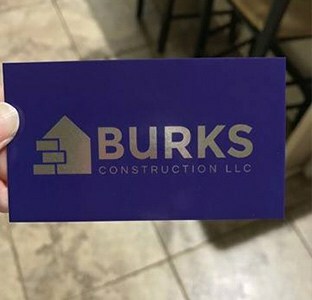 The long term goal for his business is to be a stable, dependable company that will eventually grow into the residential new construction side of the industry, and he needed a logo that would be as memorable as the work his company does. His main requirements were for the logo to be clean, simple, and memorable. I knew instantly that a logo mark design was just what he was looking for. I sketched out a few ideas that incorporated building or construction items such as houses, bricks, a hammer, screws, and blueprints. From there I took my strongest sketches, and vectorized them. Once I vectorized my designs I began to look for fonts that matched the mark. I decided to go with Montserrat Alternates for his primary font and Questrial for his secondary font because the boldness and clean lines matched the style Nick was looking for. Next, I presented him with 4 logo options. I like to first present my clients with a few options in black, white, or grey so they can focus on the design rather than color options. 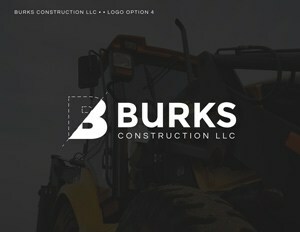 He ended up loving all the options, and decided on the logo with the house with the building bricks. My next step was to add color. He said he preferred blues and grey but was open to other color options. I presented him with multiple blue and grey options and also added in some yellow and grey color options. After many other color options were experimented with, we came up with a blue and red combination. Nick is very pleased with his company’s logo design. I designed his business cards as well and helped him with the process of ordering them from VistaPrint. He ordered them with silver foil on the front because he wanted them to really stand out, and they came out perfect. Below are some pictures that he sent to me when they came in. It’s so nice to be able to give the client exactly what they’re looking for. 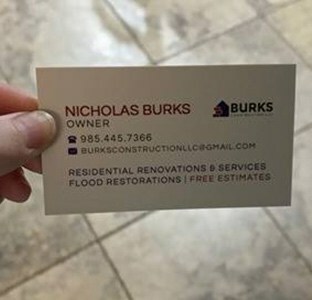 Nick knew his problem and knew what he wanted but ultimately looked to me as the professional. I look forward to possibly working with Nick in the future.